After 14 years as a news anchor at XETV-CW6, Marc Bailey has joined the National University System as director of innovative digital multimedia productions. “I will be involved in telling the story about the exceptional student experiences that are available here at NU plus our affiliates,” said Bailey, a San Diego native who has 30 years of experience in broadcasting and is an NU alumnus. 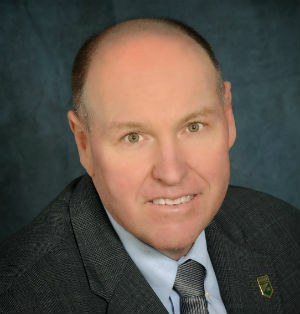 He graduated in 1982 with a bachelor’s degree in business administration. “I finished my degree while working full-time as a police officer, so I know what it means to be an adult learner,” he said. With his police background, he’s also teaching criminal justice classes at NU. He grew up in Alpine, graduated from Grossmont High School (class of 1973) and worked as a San Diego Police Department officer from 1979 to 1983. He has served as a reserve officer with the El Cajon Police Department since October 2009. Bailey joined Channel 6’s morning show in 2002 after relocating from Atlanta, where he was a morning show anchor. His first full-time job in television was as host of “PM Magazine” in Greenville, SC, in 1985. He also worked in Los Angeles as a reporter with KCAL/Channel 9 and KFWB-AM 980. Also in LA he worked as an on-air talent and producer for programs that aired on The Discovery Channel, E! and The Travel Channel. He also worked in Phoenix as an evening news anchor. Bailey said other work projects at NU may include producing media for internal audiences and online and social media audiences, as well as broadcast TV. “I loved my career in television and reporting on breaking news in the morning, but I don’t miss getting up at 2 a.m.,” Bailey said. 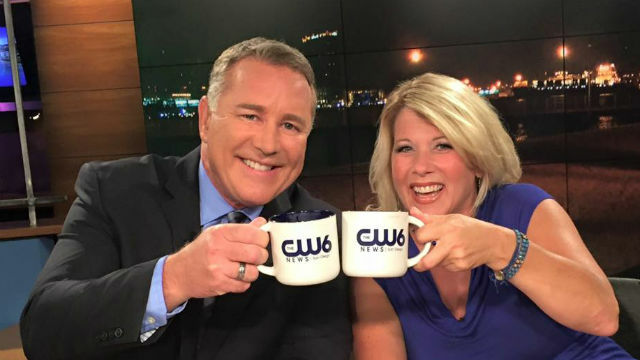 Jim Patton has been filling Bailey’s weekday anchor role on the “CW6 News in the Morning” show. NU is among California’s largest nonprofit educational institutions with 28 campuses and 120 undergraduate degree programs. Also part of the National University System is John F. Kennedy University in the San Francisco Bay area and City University of Seattle. 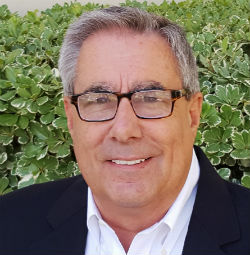 The Approved Home Pro Show, a local radio and TV production that features interviews with home improvement professionals, has added broadcast sales veteran Bob Hoffman to its sales team. Hoffman has more than 40 years of experience in sales, marketing and management in radio and television. “This is a fast-growing company and I am looking forward to helping accelerate that growth and create even greater success for our Approved Home Pro sponsors,” said Hoffman, who previously was with Entravision. The Approved Home Pro Show features home improvement professionals who pay for the opportunity to pitch their services to consumers. Officials said companies are vetted prior to joining their network and purchasing marketing programs. Hoffman has worked in the San Diego market since 1993, spending time with KCBQ Radio, Cox Media and XETV/CW6. Prior to San Diego, he spent 20 years in radio sales and management in Los Angeles, Houston, Phoenix and San Antonio, which included opening offices for Katz Radio Group, a national radio representation company. Launched in 2011, The Approved Home Pro Show airs from 9 a.m. to 10 a.m. on Saturdays on KOGO News Radio 600-AM with hosts Gregg Cantor of Murray Lampert Design Build Remodel, Robin Wilson Carrier, an interior designer, and Clint August, weekday afternoon host on KGB-FM 101.5. In 2014, it added TV appearances in 2014 on “San Diego Living,” a pay-to-appear, direct-response show that airs weekdays at 9 a.m. on Channel 6. In August 2015, The Approved Home Pro Show expanded to a 30-minute infotainment program airing at 9:30 a.m. on Fridays. KSSX 95.7-FM, one of seven local radio stations operated by iHeart Media San Diego, has changed from playing rhythmic AC to rhythmic top 40 hip hop and R&B, the company said. Its branding name has changed from 95.7 KISS-FM to JAM’N 95.7. Rob Scorpio is serving as senior vice president of programming. He previously has worked with hip hop and rhythmic formats in Houston, Los Angeles and Washington D.C. “We are fortunate to have Rob’s level of expertise leading JAM’N 95.7,” said John Peake, iHeart Media senior vice president of programming. On-air hosts include Pablo Santo and Tati, Mercedes “Cedes” Howard, Frankie Vinci and Beto Perez. In addition to KSSX 95.7 iHeart Media operates KGB 101.5-FM, News Radio 600-AM KOGO, KIOZ-FM Rock 105.3-FM, XTRA 1360-AM Fox Sports San Diego, KMYI-FM Star 94.1 and KHTS-FM Channel 933, as well as an outdoor billboard advertising operation. The Public Relations Society of America’s San Diego-Imperial Counties chapter is inviting entries for its 2016 Edward L. Bernays Mark of Excellence Awards program. The Bernays Awards recognize the expertise and dedication of public relations professionals in San Diego and Imperial counties. Awards will be presented in categories that recognize PR programs and tactics that incorporate research, planning, creativity, technical excellence and evaluation. Categories include community relations, reputation and brand management, special events, public service, crisis communications, internal communications and investor relations. Other categories include feature articles, op-ed columns, press kits, press conferences, social media and blogger campaigns. Special awards also will be presented, including the Eva Irving Community Service Award, Deborah Baker PR Professional of the Year, New Professional of the Year Award and the Diogenes Award, which is presented to a local newsmaker for honesty and candor. Deadline for entries is July 22. Winners will be announced on Thursday, Oct. 20. To download entry forms, visit http://www.prsadic.orgwww.prsadic.org.